Sunday is the big market day at Chichicastenango and I’ve made it my prerogative to visit as many markets in Central America as possible. 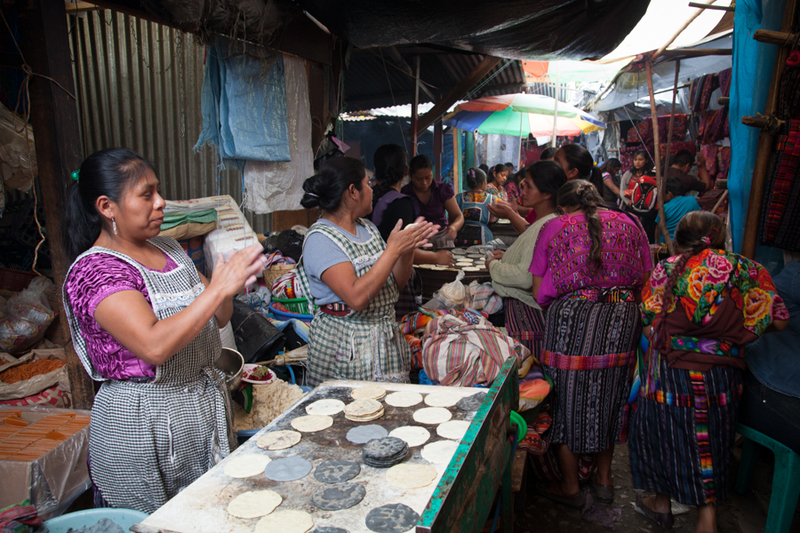 Chichicastenango has one of the most famous markets in Guatemala, and with reason. 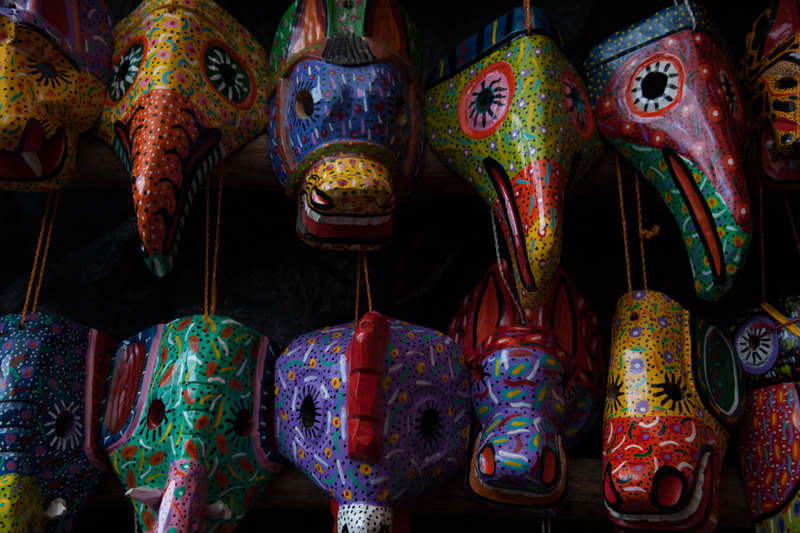 While it has become rather touristy (regular shuttle buses bring tourists in from Xela and Lago Atitlan on market days), it also means it that it has an amazing selection of textiles, as well as the regular produce, random goods and a decent selection of comedor restaurants. Textiles are very regional in Guatemala, but comparing it to other markets I’ve been to, I suspect some of the items have been specifically made for tourist’s tastes. In order to avoid the rush of tourist shuttles arriving on Sunday, my friend Niamh and I arrived on a Saturday afternoon, found a cheap room at Hotel El Telefono (coincidentally next to the most expensive hotel in the city Mayan Inn, where a drink was more than the price of my bed at Telefono. We awoke early in the morning to see the vendors setting up. I was surprised and slightly put-off by how aggressive the vendors were. Some followed you down the street after you showed interest in an item, and the first language they spoke to you in was English, rather than Spanish. After bargaining with one vendor for 5 minutes about a patch-work pillowcase, I left and said that I would return later. We began shopping down another street and while waiting for Niamh, I started to play with two girls standing off to the side of the street. We chatted, I offered them peanuts I had just bought, they were incredibly cute. Suddenly, the older one pulled out the pillow case I had been looking at a few minutes earlier from underneath her arm. Her father had sent them to follow me! I felt incredibly awkward, but in the end I gave in and just bought the pillowcase.